This past week, DeepStacks Poker Tour (DSPT) wandered north of the border for the first time for an eight-event, 10-day series at Grey Eagle Resort & Casino in Calgary, Alberta. 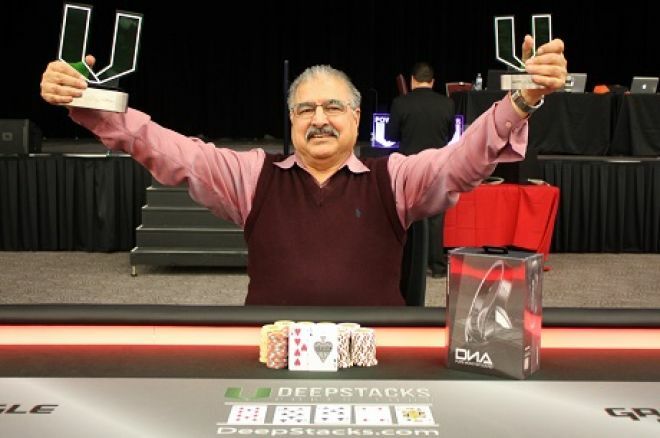 When the last card hit the felt on Sunday, Calgarian Jeet Shergill was hoisting up both the Main Event trophy and the Player of the Series trophy. Calgary, and Grey Eagle Resort & Casino in particular, has become recognized as a hotspot for mid-major poker series — a reputation largely established by the successful Canadian Poker Tour (CPT) events hosted in recent history. The DSPT Main Event even came close to finding the same level of success as CPT when they found 283 entries for the $1,100, two-day event compared to the 308 of CPT's most recent two-day, $1,100 Main Event. Boasting a $200,000 prize pool guarantee, 95 players came out for Day 1a of the Main Event on Friday, September 26, followed by an additional 188 on Saturday for Day 1b. When 55 survivors returned for Day 2 on Sunday, they were playing for a piece of the $268,850 set aside for the final 36 players. The top spot was promised $60,715, which went to Shergill. Shergill had already locked up the Player of the Series honours when the final table of the Main Event got down to the last six players, as he had already finished second a couple of days earlier in the next-largest buy-in of the series — the $550 no-limit hold'em event. Some of the other notables who claimed a prize in the Main Event included Niall Farrell — the Scot who is becoming mistaken for a Calgary native as he spends so much time playing the local events — Calgarian Bo Fric, Edmonton's Raymond Chen, Stephane Bisson from Ottawa, and Vancouver's Logan Dunn who claimed Player of the Series at the recent CPT Summer Showdown at the same location. The field also included Team DeepStacks Pros Tristan Wade and the infamous Michael "The Grinder" Mizrachi, but neither of them could stand up to the local talent. With the recent partnership formed between World Poker Tour (WPT) and DSPT, WPT Tournament Director Matt Savage landed in Calgary to oversee the action in the Main Event. 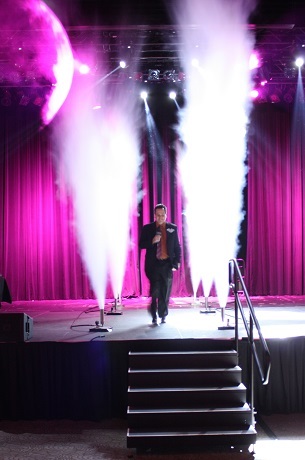 Playing up his celebrity presence as much as possible, DSPT had him enter the tournament hall surrounded by bursts of stage fog as if he had come to Calgary to take on Brett Hart in the wrestling ring instead of officiate a poker tournament. With an appropriate name like Matt Savage, the WPT Tournament Director looks ready for his first WWE appearance. With the inaugural Canadian DSPT event in the history books, there is hope that they will ride their success into a second series that is coming up quickly. DSPT will be in Edmonton at Casino Yellowhead for a five-event series and another $200,000-guaranteed Main Event, though this time the price of admission is set at $1,500. The series will run from October 5 to 12.